. . .men were in the kitchen mending nets, and the bottle of poteen was drawn from its hiding-place. A delightful account of Synge's stay on the islands as he endeavored to learn Gaelic and the ways of the people. No wonder his plays are so real! Synge wrote this in pieces, but I think it works that way...very beautiful snapshots of the everyday and the sublime. Which is what life must constantly be like on these islands. Not sure if it is still the same there, there was a storm when I was supposed to go, so maybe I wont ever find out! If you go to the Aran Islands today, you find that a few thousand people live there, mostly tending B&Bs or tourist shops. The only remnant of the old Ireland is the hundreds of miles of stone walls that still divide the land into tiny plots. 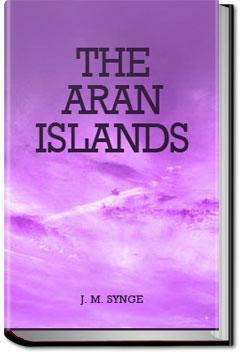 The Aran Islands by J.M Synge is a remarkable and insightful read of life on the Aran Islands From 1898 to 1903. Having just returned from an amazing 2 day trip to the Islands I was eager to read this remarkable little book that had been recommended to me by one of the Islanders. .